» UDC's key patent claims denied in Germany? UDC's key patent claims denied in Germany? There are reports that Universal Display's key PHOLED patent's key claims has been invalidated and revoked in an Oral Proceeding of the European patent office. According to the report UDC will have to submit a much narrower patent - deleting any references to any phosphorescent materials other than iridium. The opposition to the patent was filed by Merck, BASF, and Sumation. UDC responded to this story: "The European Patent Office conducted an oral hearing on November 3rd. 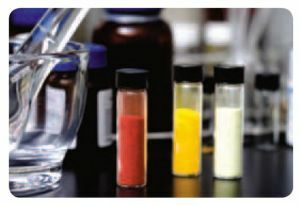 The EPO panel announced its decision to maintain the patent with claims directed to OLEDs containing phosphorescent organo-metalic iridium compounds.” A transcript of this hearing will be available in two weeks. UDC's earning reports will be released tomorrow and hopefully we'll learn more about this issue. UDC is facing several legal battles currently. Some patents in Japan were invalidated back in June 2011. The same patents are also being challenged in Korea (by Duksan) and in Europe.